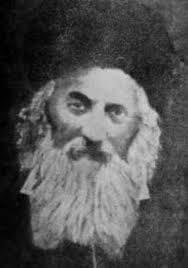 The Ba’al Shem Tov, also known by his acronym “BeSHT,” inspired the founding of the Hassidic spiritual movement of the eighteenth century. 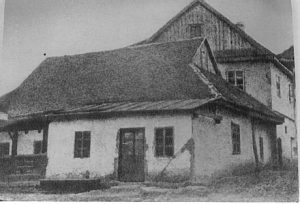 He brought great innovations into the religious identity and practice of the common Jew, avoiding the hyper-scholasticism and intellectual aristocracy of the Jewish world at that time and replacing it with a grounded, experiential spirituality. He was a supporter of the “everyman” Jew, inspiring many of us to live a deeper, more grounded life (thanks to the books and teachings of modern Jewish masters such as Martin Buber, Abraham Joshua Heschel, and rabbis Zalman Shalomi-Schachter and Shlomo Carlebach, alav-ve-shalom). The following story is a great example of the life-example teachings of the BeSHT. The young Rabbi Dov Ber’s volcanic frustration was nearly exploding after an entire Shabbat of what he considered soul-killing boredom. A great scholar in the mystical texts of the Kabballah, Reb Don Ber had travelled many miles to spend a very disappointing Shabbat with a man known as “The BeSHT.” He came to receive a healing for his many maladies and to see if there was any truth to what he heard about this “great miracle worker” and seer into the depths of mystical reality. What he got was three meals at which the BeSHT spoke of quaint little stories and a bit of singing. No healings, no great revelations of spiritual import. Shvach! Dov Ber bided his time over the late afternoon of Shabbat. When morning came he was packed and ready to gallop his coach fast and furiously back home to his books. After a hasty, but polite, farewell to his host, the young scholar was about to get into his carriage when his servant approached carrying the last of the baggage. “Master,” pleaded the servant, “The BeSHT asked your permission to speak briefly with you one last time before you go.” Begrudgingly, Dov Ber went to see the folk healer in his study. There, the BESHT sat on one side of a large desk and motioned the rabbi into the opposite chair. Once seated, Dov Ber saw a classic mystical text in front of him and it was open to a discussion about angels. The BeSHT invited him to read what was on the page. “Now this is more like it,” Dov Ber thought, and he expertly proceeded to not only translate the Hebrew and Aramaic but to share all of the commentaries he memorized on this passage as well as to convey his own insights. When he had finished, he proudly looked up at the BeSHT who looked peacefully unimpressed. “That was very thorough,” he told Dov Ber, “but let me show you what the text can reveal.” As the BeSHT placed the page in front of him, Dov Ber contemptuously wondered what more could this country bumpkin teach him about this already “thorough” exposition of the holy words. Dov Ber never returned home.